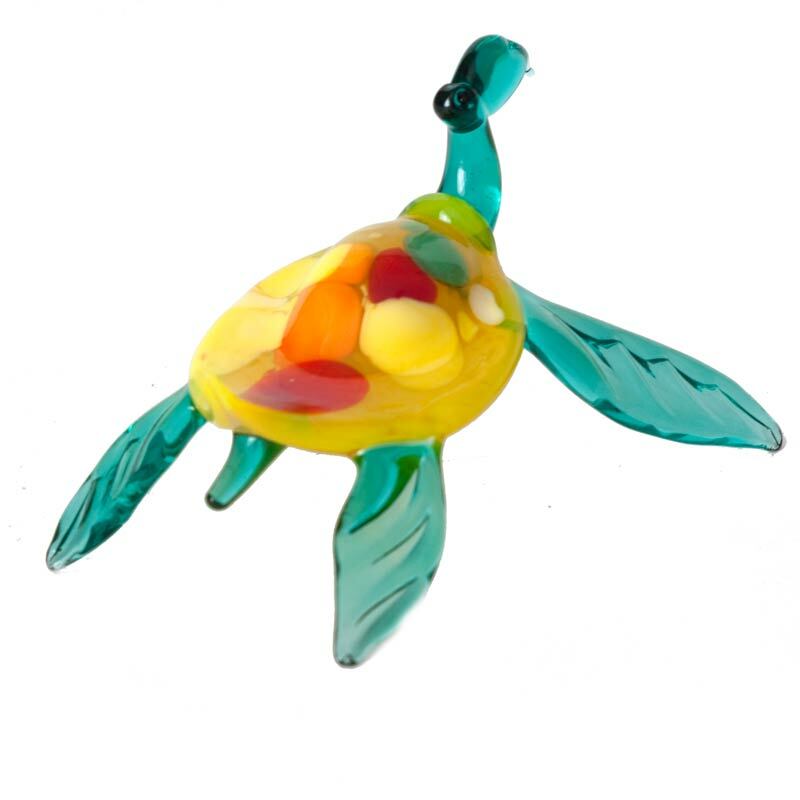 Glass Sea Turtle Figurine is a hand-blown art glass figurine made in technique of lampworking (blowing) of color glass rods. 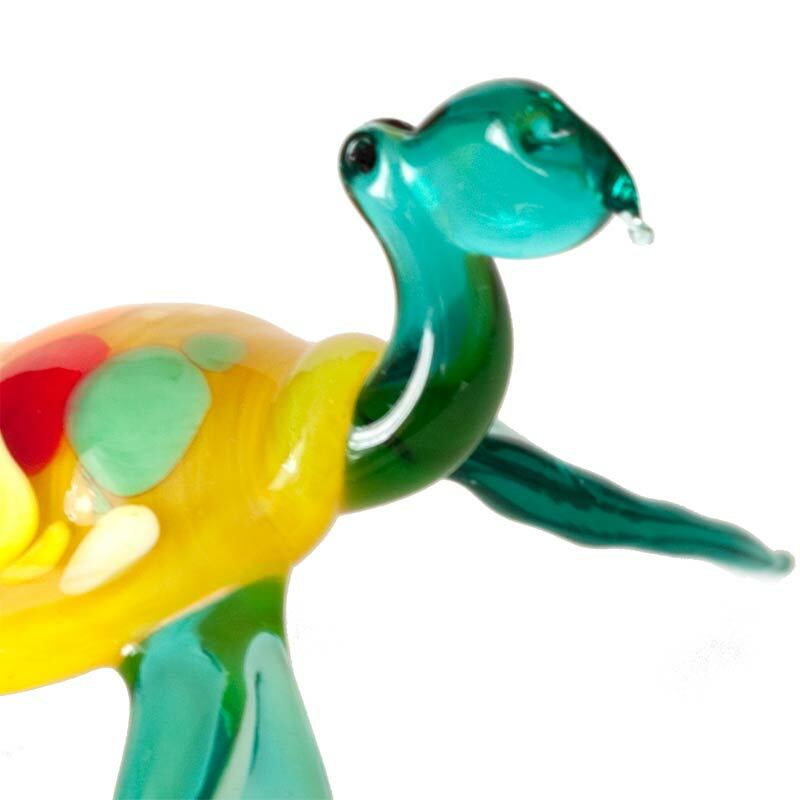 The figurine is hand-created in the art glass studio in St.Petersburg by Russian artists. 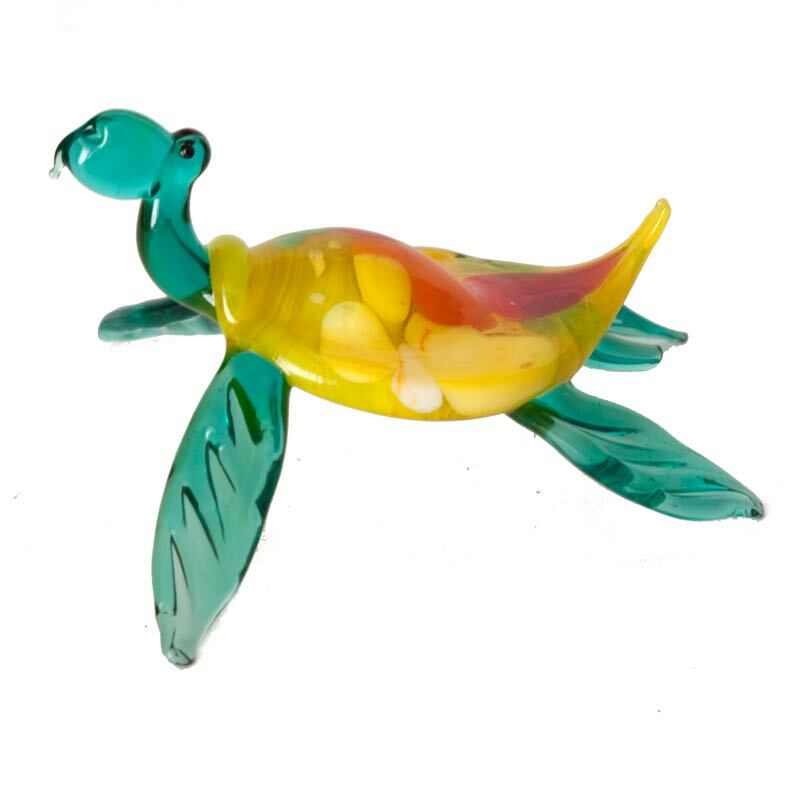 This collectible glass figurine is made specially for people who collect blown glass figurines.